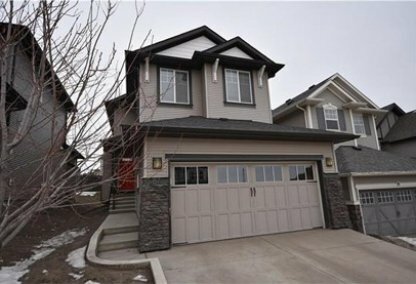 Find the newest Sage Hill homes for sale & real estate listings in Calgary below! Sage Hill residents enjoy breathtaking mountain views in this picturesque community. It is a brand new neighbourhood in North Calgary. For information about Sage Hill neighbourhood properties for sale or to schedule a personal home showing call your Sage Hill Calgary real estate team today. Sage Hill housing market statistics: As of April 25, 2019 there are currently 39 properties for sale in Sage Hill listed as active, with an average asking price of $372,046. The highest-priced property is $950,000; the lowest priced property can be purchased for $185,000. Sage Hill neighbourhood listings have an average price of $289 per square foot, based on listings with 2.7 bedrooms, 2.5 baths, and 1,310 square feet of living space. Find a house in Sage Hill? Call Justin Havre at RE/MAX First - 403.217.0003, your Calgary Homes neighbourhood real estate team. We are Sage Hill real estate agents and experts on the the newest listings in Sage Hill Calgary. Sage Hill neighbourhood condo prices start in the low-$200s while single-family homes start in the low $300s. United Communities plans acres of green space with rolling hills and exceptional views. The plan is for considerable future growth, with an expected 20,000 home owners to be part of the community over the next 10 years. The Sage Hill neighbourhood is a very family-oriented community, set among ponds and wetlands. Crowfoot YMCA, Village Square Leisure Center, and Cardel Place are all located close by to provide recreational activities to home buyers. Sage Hill homes for sale residents are excited about the project underway by Genesis Land Development Corporation - Sage Hill Crossing. It will provide housing, entertainment, restaurants, and retail stores. The goal is to create a self-contained community. A local Sage Hill community school will be built in the future. For now, Sage Hill students are serviced by many public and separate schools. Elementary schools include Cambrian Height Elementary, St. Bede (Catholic), and Calgary Waldorf School (Separate). Junior high schools include George P. Vanier Junior High (Public), St. Margaret (Catholic), and Webber Academy (Separate). High schools within the neighbourhood include James Fowler High School (Public), Notre Dame (Catholic), and Mountain View Academy (Separate). Thinking of buying or selling a home in Sage Hill? Let our local real estate agents help guide you through the purchase of your next home, or to expertly negotiate the sale of your current home. As local Sage Hill real estate agents, we're experts on the market dynamics unique to the Sage Hill real estate market. We'll get to work for you today! Contact Justin Havre at RE/MAX First - 403.217.0003 to learn more about buyer or seller representation. Planning to sell your Sage Hill home? 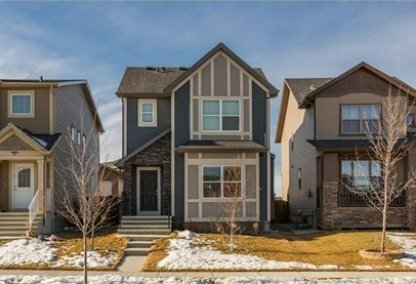 Check out our free home evaluation, where you can instantly price your Calgary home price your Sage Hill home online, in minutes!